uninhibited look at their business, and themselves. As a business owner myself I am fully aware of the challenges companies of all sizes experience on a day to day basis especially in today’stough economic climate. 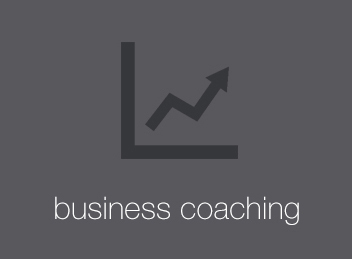 As a Business Coach I work with business owners on a one-to-one basis helping them to maximize the performance of their business, and achieve their goals and ambitions both from a personal and business perspective. Some business owners view me as a mentor, a sounding board, someone who can take an uninhibited look at their business, and themselves. The decision to sell your business is one of the most important and complex transactions you are ever likely to undertake. It is, therefore, vitally important you select a professional and experienced broker to advise and promote your business to the widest possible audience. Peter Sinnott will not only promote your business but will work with you to ensure your business is in the best possible shape to maximise its value. I have been coaching business owners for the past nine years and successfully supported many exit strategies. I specialise in mainly selling owner-managed companies in the Manufacturing, Engineering, Distribution and B2B Service sectors with turnovers of between £1m and £10m. 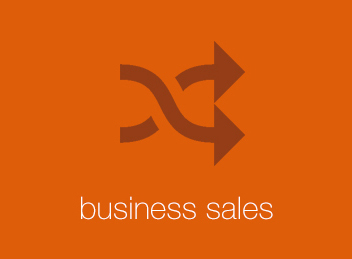 I work with many of my clients for periods of up to 12-18 months prior to a sale to ensure we maximise profits and subsequently achieve a successful sale. Click here to find out more. Would your business benefit from advice and guidance from an experienced businessman who can empathise with you and has a burning desire to see you succeed? As a Business Coach, I am measured on results, therefore your success is also mine. I generally work with owners of SMEs in the Black Country, Birmingham & the wider West Midlands. Most of my client relationships begin with a three month coaching programme, with many progressing into longer term relationships. During the initial coaching period of 3-6 months I will meet with you, usually once a week, face to face for approximately 1 to 2 hours. I will come to you with a blank sheet of paper … and not a prescribed solution. We discuss your issues and objectives, both from a ‘business’ and a ‘personal’ perspective, and from there agree an agenda, a plan of action. And please, have no fear, it is always your agenda, not mine! Click here to find out more. How often have you attended a business event only to find that the presenter is nervous, ill-prepared or just downright boring? … Have you been thrust in front of an audience and asked to present a speech, business workshop or seminar, or a sales pitch to a potential customer? Do you fear having to stand up and speak in public? What would you give to be a confident, imaginative, inspiring public speaker, who is able to capture the imagination and motivate your audience, or turn a prospect into a customer? I have created a video-based e-learning course which will equip you with the tools to become a confident public speaker, and you can do it all in your workplace or home without standing up in front of an audience until you are ready. You can simply follow the course but we also invite you to write and practise a speech alongside the modules (if you wish, it’s not obligatory). 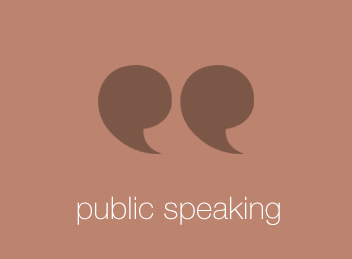 To find out how to overcome your public speaking fears … Click here to find out more.